Everything residents need to know about their clean up dates. Bayside Council collects mattresses, metals and white goods from your scheduled or pre-booked clean up using a flatbed truck to maximise recycling and recovery rates. You can help by separating these items from the general waste pile. 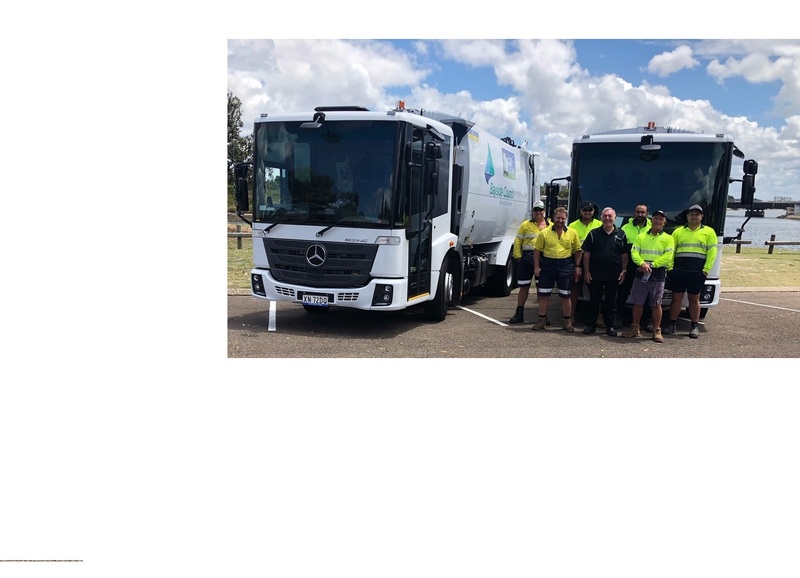 In September 2018, disposal facilities began a trial to send Council’s clean up material to a recovery facility to improve diversion from landfill. In 2019, Council is seeking to secure a long-term commitment to meet our 2030 vision of at least 85% landfill diversion. The clean-up week in your zone will take place from 6am from the day specified on the fridge magnet. Please follow guidelines to ensure your waste is compliant for removal. Your scheduled collection dates are available on the Council issued magnet, on the Waste Services App, on the Council website, or available by calling Customer Service on 1300 581 299. Below is an example of what your Clean Up magnet looks like. If you have not received a magnet, please contact Council on the above number for one to be sent to you. DO NOT PRESENT earlier than Saturday or later than Sunday before your scheduled collection dates or the day before an on-call collection. Otherwise, it will be treated as illegally dumped material. 3 CUBIC METRES PER HOUSEHOLD only will be collected (one box trailer). Any extra waste may be deemed as over-presentation, you will have 48 hours to arrange for its removal. If not removed, it will be treated as illegally dumped material. NEAT AND CORRECT PLACEMENT of waste may be enforced. Place waste neatly on outer edge of nature strip in front of your property or in the bulky waste room/space available in your multi-unit complex. DO NOT PLACE material in rear lane ways, in gutters or garden islands. Otherwise, it will be treated as illegally dumped. DO NOT BLOCK pedestrian or vehicular access. BAG OR BOX all loose and small waste to prevent the potential for wind-blown littering. BAG, BOX OR TIE green waste and remove spiky thorns. SEPARATE PILES including mattresses, white goods, metals, e-waste to assist with a more efficient collection service. Materials exceeding three (3) cubic metres – approx. one box trailer load. Heavy items which cannot be lifted safely by two people. Gas cylinders and fire extinguisher. Hazardous liquid including paint, oil, petrol, acid, chlorine and solvents. Branches thicker than 30 cm and/or longer than 1.2 metres. Thorny branches including roses, spiky palm tree fronds, loose grass clippings. Cast iron bath tubs or concrete tubs. Building materials including bricks, tiles, concrete, sawdust, sand, soil or fine particles like cement mix. Any glass items (ie. shower screens, mirrors, windows and doors). Railway sleepers that are longer than 1.2 metres. Food waste/garbage. Fibreglass sheeting, insulation batts. Guttering that is longer than 1.2 metres. Water pipe longer than 1.2 metres. Car doors, bonnets, bumper bars, engine parts, tyres and batteries. At the beginning of each calendar year residents are provided with their Household Cleanup Service dates which notifies them of all clean up dates and how to present clean up material. Example of household collection service dates for a particular address.